Every year, the Industry Interaction Cell (IIC) of IIM Indore organizes an Industrial Visit for the participants to provide them a platform for a direct interaction with the higher echelons of various companies. 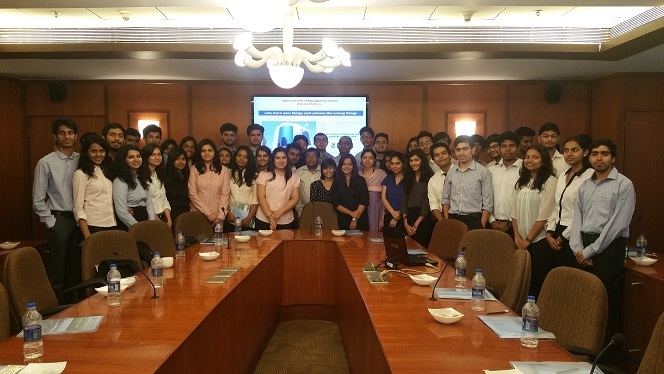 This year, a group of 51 IPM students went on a two-day Industry Visit in Mumbai on February 13-15, 2017. The students got an opportunity to visit four organizations namely, Industrial Development Bank of India (IDBI), Securities and Exchange Board of India (SEBI), Hindustan Unilever Limited (HUL) and the Reserve Bank of India (RBI) which also held workshops and lecture sessions for the participants. IDBI organized a workshop on Treasury Management and the Importance of Trading, while SEBI organized a lecture on securities market and the importance of the regulatory body. A discussion about the future expectations and challenges also took place at SEBI, which was followed by an informative Q&A session. The students also got a chance to attend a workshop undertaken by HUL’s Global Brand Manager on Brand Management, followed by a campus tour which enabled them to know HUL’s work environment and practice. RBI organized a workshop on Financial Inclusion, Issue of Notes and Financial Development in its Mumbai Regional Campus; followed by a tour of the reputed RBI Monetary Museum. The workshops were immensely insightful and provided a practical exposure to the students about their learning in the classroom. It also allowed them to understand various challenges faced by professionals in their course of work and how to go about resolving the same. 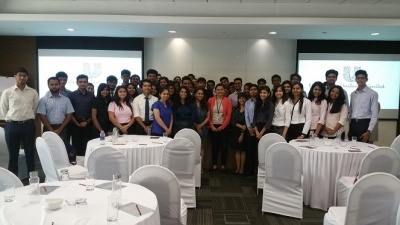 The visit gave the IPM students—who come straight out of school, a taste of the corporate world, while establishing a strong sense of goodwill with the partnering firms.